Do you wish to get the spectacular vista of the Fauna(Mainly Tiger and one horn Rhino)? If yes, come and bask in the wilderness of The Bardia National Park Owing to the presence of the striped cats and various other exotic fauna species, Bardia National Park is counted among the best places for wildlife safari in Nepal. 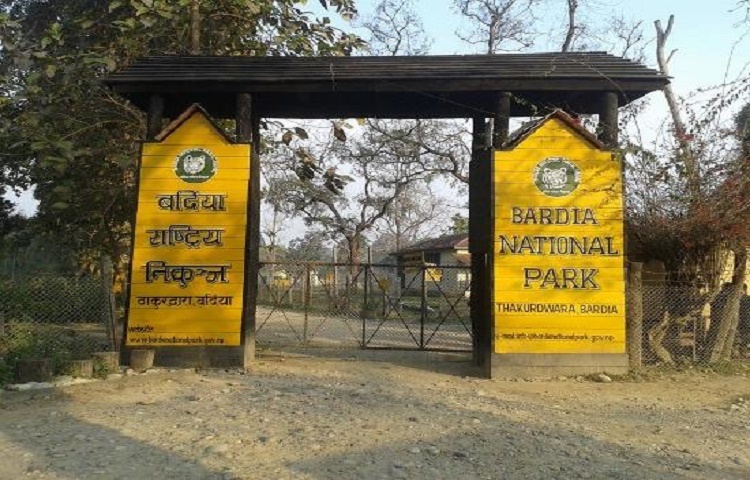 Bardia National Park is the largest National Park in Nepal where we can foretaste varieties of animals such as Tigers, Deer, Monkey, Rhino, Dolphin and Crocodile from a near sight which is so mesmerizing. Not only animals we can see varieties of landscapes also. All of these sorts of things will certainly lure our hearts to stay there. This place is far away from the human inhabitance and perhaps that is why wildlife is flourishing so beautifully here. Perhaps no more words are required to state that this park is certainly among the ultimate destinations for enjoying wildlife holidays in Nepal. Upon your arrival on Nepalgunj airport, our company representative will address you. This national park is 90 km (2 hours drive) away from Nepalgunj. We will check in our resort. After refreshment we will towards to visit local inhabitant of Tharu village. We will visit Bardia National Park visitor center and its crocodile farm. Overnight stay in Bardia National Park. Post breakfast we will enter in real journey aided by nature guide and a porter. 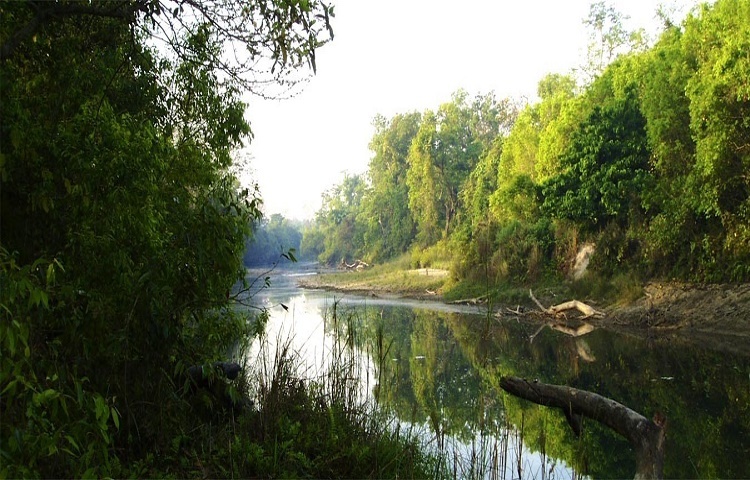 The dense forest of Bardia is a home to many wild faunas such as Bengal tiger, leopard, spotted deer, swamp deer, hog deer and so on. On the way we can find towers where we can wait for gullible wildlife creature to pass across us. Our professional nature guide will help us to discover wildlife on the way. Overnight stay in Bardia National Park. After dinner we will witness traditional Tharu dance. Post breakfast, we will drive towards village called Chisapani, residing near Karnali River. We will start our wildlife discovery on a safari float where we can foretaste wildlife and rivers of western Nepal. While crossing river we will be manipulated in a careful manner by our nature guide. So, we do not need to panic here. During the safari we can get chance to witness variety of Landscape along with varieties of flora and fauna. How fascinating will be that if we get chance to witness wildlife quenching their thirst on the bank of Karnali River? This river is home to a Crocodile and Dolphins. Furthermore, we can witness varieties of migratory and local colorful birds. After dinner we will witness Local Tharu cultural program and overnight stay in Bardia National Park. Post breakfast, we will return back on Elephant safari which is so astonishing because elephant helps to protect us from the danger that could be encounter on the way due to wild life. An elephant is being ride by a Mammoth friend, so we do not need to worry. Generally, elephant heads towards northwest, so we can have glance on birds, deer, rhino, and monkeys and so on. After a safari company representative of Leaf Holidays will drop us to Nepalgunj airport.